Last week my in-laws were here .We spent 5 beautiful days together.I prepared these dishes for lunch.Generally we have thogayals for lunch.So i prepared Ridge Gourd thogayal , Gooseberry – curd pachadi , Puli keerai ,Broad Beans sambar , Carrot – beans poriyal,Urad dal Vada , Papad & milk kheer .I am sending this post to my SIL's "Show wat u cook for Guests" event. Let me start from Puli keerai.Hope u can find out from the dishes.I normally prepare keerai kadaiyal.For a change , i tried puli keerai by asking my mom.It was very tasty when had with plain rice & ghee.So here comes the ingredients & method of preparation. Remove & Wash the leaves and cook it along with tamarind & red chilly. Let it cool & then grind with salt to make a smooth paste. Do the seasoning.Serve with plain rice & ghee !! Heat a kadai with a tsp of oil and roast urad dal , red chilly & hing.Set aside. Soak tamarind in little warm water and keep aside. Peel the skin of ridge gourd using a peeler and cut into small pieces. Heat the kadai with a tbsp of oil and saute the ridge gourd pieces till its completely cooked.May take 10 mins in medium flame. Let it cool . Finally grind everything to make a smooth paste. Serve with plain rice and sesame oil. Wash & cut carrot , beans into small pieces. 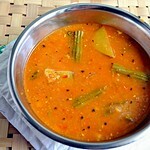 In a vessel take the veggies along with moong dal , Sambar powder & Salt. Add the required amount of water and cook it.Take care the moong dal should not become mushy.It should be just blossomed. Heat a kadai with a tsp of oil and do the seasoning.Finally add the cooked veggies and toss well. Add the grated coconut and mix well. Saute for 5 mins & remove. 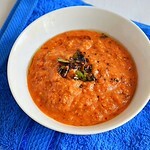 Serve as an accompaniment for Sambhar / Rasam & Curd rice. In a Pressure cooker take toor dal with a pinch of turmeric powder and a drop of oil .Add the cut broad beans pieces to it with required water..Cook for 1 –2 whistle till the dal turns mushy.Mash it with a ladle.Set aside. Soak Tamarind in warm water for 15 mins and extract the juice from it. Peel the sambar onions and Slit cut the green chilly into two. Heat a kadai with oil and splutter the mustard seeds & fenugreek seeds & pinched red chilli.Then add the sambar onions, Green chillies & curry leaves and tomato pieces.Saute well. Then add the tamarind extract , Sambar powder , a pinch of turmeric powder , 3 pinches of hing & few curry leaves. Cover & let it boil till the onions get cooked.Nice aroma arises. Finally add the cooked toor dal along with broad beans and let it boil for another 5 mins. Remove & Garnish with coriander leaves. 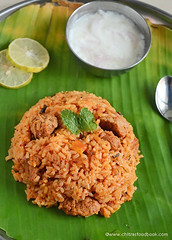 Serve hot with plain rice & ghee !! U can refer here for the recipe & preparation.I added a tsp of toor dal & a tsp of raw rice while soaking a cup of urad dal. Remaining the same as given there. U can find the actual recipe in this blog .I just added 2 pinches of cardamom powder.Else the same procedure.It was very tasty & rich. Thanks a lot Jeyashri . The entire pic looks very delectable. But me personally like the milk kheer better. 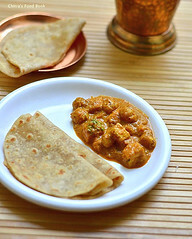 Superb recipes.......just wanna grab tht plate...yummy n delicious!! Your guest are really lucky to have such a delicous meal.Looks so so good. Nice presentation dear...it makes me hungry. MY MY Chit very delicious spread of food esp the vadai...looking so tempting which made to soak some ural dhal to make for the evening snack..
Nice spread Chitra,love your puli keerai and thogaiyal particularly. All the recipes look awesome! :) Looks very yummy! 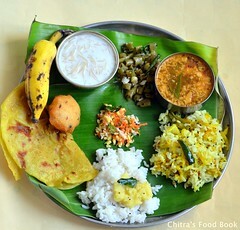 nice spread chitra. Like the way u make the beans carrot poriyal.new for me. will try next time. And glad to know the milk kheer turned out well.Thank u so much. awesome spread of dishes..very authentic south indian menu..sure your in laws would have loved it..
nice spread and yummy recipes! ooh, what a spread! All the dishes look soooo delicious. You have presented very beautifully. All dishes looks yummy and delicious. எனக்கும் ஒரு தட்டு வைத்து எல்லாம் சாப்படும் எடுத்து வையுங்க...இதோ வந்துகிட்டே இருக்கேன்.. Absolutely beatiful spread of dishes..Love the simplicity of the dishes! Look how many things you made! All recipes looks yummy, lovely spread. Every dish looks yumm..nice presentation. 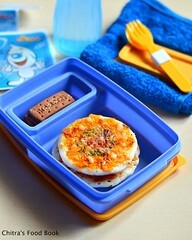 You have a nice blog with nice dishes. 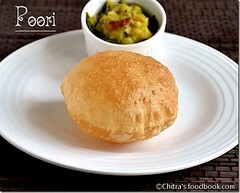 you can visit my blog view my recipes and give ur comments. You are so full of energy...making all these delicacies! You go girl! 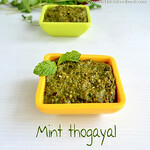 Thanks for visiting my blog,Happy to hear u also from Bangalore.Nice display & Delicious recipes. Thanks for dropping by my blog. Wow.. wat a feast !! First time here. This looks a super meal and a wonderful click. 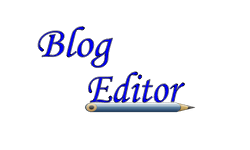 You have a nice blog! Visit mine when you have a chance- http://raje-s.blogspot.com/. 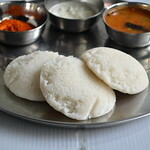 I just came back from a India trip and had lots of home made food. This pic makes me want to go back again..aweosme! What a nice platter.Glad u had a good time. What a delicious spread! You've made lots of yummy food! The medhu vada in particular attracts me a lot. That's a inviting platter!! Loved it! awesome recipes! loved the layout and presentation! I sure need to learn a lot from you!